Mystery of the Heart is the third and final book in Jillian's Ravensmoore Chronicle's series. Set in England during the Regency time period, this book brings adventure, romance, and a unique look at the history of the Monarchy at that time. Jillian's books always immerse you into their settings. This time we traveled into Windsor Castle and met the King himself, along with the Prince Regent. I'd forgotten much about this time period and all that was happening with King, and I loved how Jillian brought us back into that era. She also weaves in social issues of the time, and as a woman it definitely snagged my interest as I watched the main character, Mercy, try to pursue her dream of being a doctor in what was definitely a male-dominated profession. Then there was the look at the practice of Vodun and other superstitions people believed in rather than the power of Christ. This led into a great race for an artifact, which Jillian creatively used to tie the entire story together. There were so many elements in this story that tugged my interest. At moments I wished the romantic development between Mercy and Vincent (Lord Eden) was stronger, however, as I am a sucker for romance. Still, the thread was there among the others and did deliver a Happily Ever After. Also, it was great to see the characters return from the first two books, happily married. If you've read the first two in the Ravensmoore Chronicles, you'll definitely want to grab this one. If you haven't, you can easily start here. 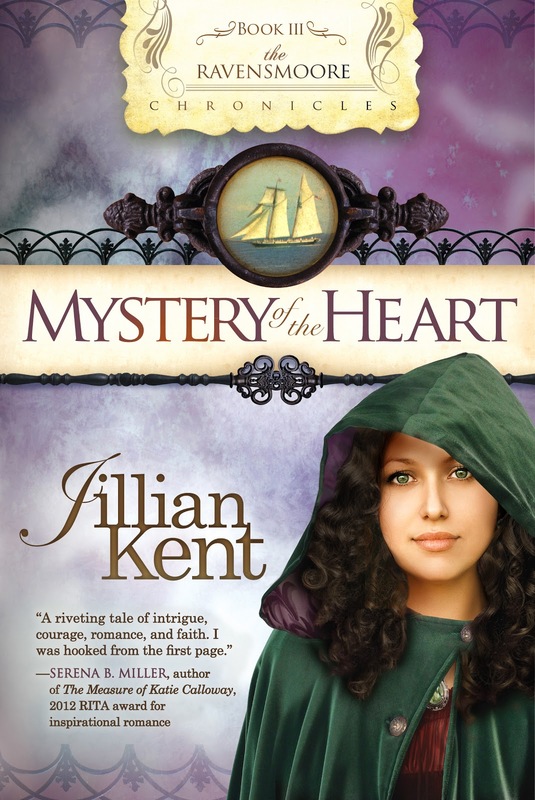 Mystery of the Heart can be read as a stand-alone regency/mystery/romance. Pick it up today, here, and visit Jillian at her website, here. Lady Mercy Grayson has secretly been studying medicine in Edinburgh, Scotland. She has dressed as a man to pursue the same passion her big brother Devlin, Lord Ravensmoore, pursued outside the acceptance of society. Her secret has been discovered. Now she’s running away fromScotland and her dreams. Will she be able to accomplish what she feels is God’s calling, or will the parameters of society and those who want to use her secret to accomplish their own selfish ends determine the course of her future? Both will be forced to examine their personal motives when members of a voudon tribe, and the London Legend Seekers Club search to possess the ancient relic for their own purposes. Jillian Kent is the author of the Ravensmoore Chronicles series which includes, Secrets of the Heart, Chameleon, and the newly released Mystery of the Heart. These are all historical romantic mystery/suspense novels set during England’s regency era that will keep you turning pages. Jill is a licensed independent social worker employed as a counselor for nursing students. She is also a member of the American Association of Christian Counselors and passionate about mental health and wellness for everyone. 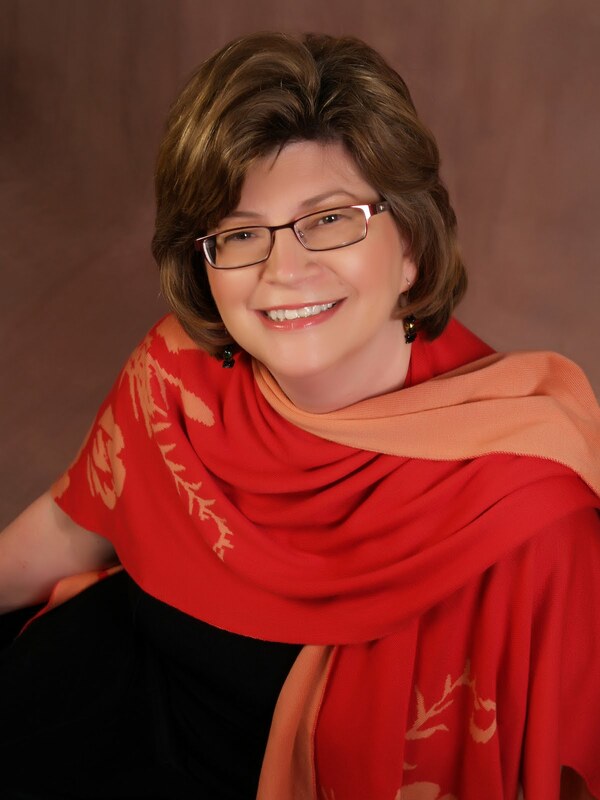 She contributes and coordinates the writing of The Well Writer column for the Christian Fiction Online Magazine. Escape into the past . . . Discover faith for the future are the first words you’ll find on her home page that perfectly describe her stories. Intriguing. I may have to put the series on my TBR pile. As if it's not teetering already! I was just at Jillian's blog this morning (it's her birthday! ), so it's wonderful to see this review here! I'm adding this series to my list!